Adrian Poole Bennett, M.D., F.A.C.O.G. Julia Carper Combs, M.D., F.A.C.O.G. Barbara N. Croft, M.D., F.A.C.O.G. Kimberly M. Kleiss, M.D., F.A.C.O.G. Carrie D. Lawson, M.D., F.A.C.O.G. Jennifer F. Williams, M.D., F.A.C.O.G. Nahed (ZiZi) ElGammal, M.D., F.A.C.O.G. 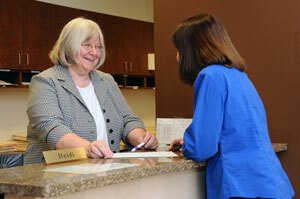 Our practice accepts and participates in many insurance plans. These insurance plans and contracts change frequently; therefore, we recommend that you contact our office to find out if our practice is in your specific insurance plan.